Maidens of Worth: It Snowed!!! 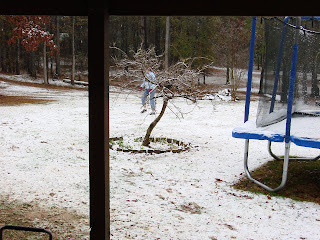 I know snow isn't so unusual up north, but here in the South and especially Alabama, it is a rare occasion indeed. It hasn't snowed here in about 5 or 6 years, as far as I can remember. 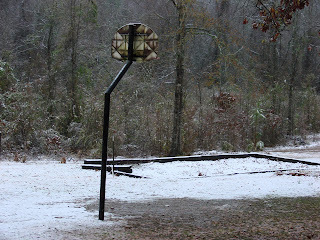 It wasn't a whole bunch, but it was snow nonetheless! Wasn't it fun? :-) I am glad that I don't live where it's extremely cold and snowing all the time. However, it's fun when it snows down here! Oh, I forgot to ask. Did orchestra practice get canceled this morning because of the snow? Yes, orchestra got cancelled. I didn't really think the weather was that bad, but our director did what she thought best. Oh, are you going to Bekoh's house for lunch? Hi Anna Naomi! I'm Sloan. I am a maiden like you who loves the Lord. Your blog is so wonderful! I wish it would snow here in Florida! But I doubt that's going to happen! :o) I am the Eldest sister of three little sisters! I LOVED your post on dresses! AWESOME! I have been wanting to make a dress like the one in your picture that's Red and has the bonnet. I will have to get a pattern! Thanks again for you wonderful blog! Miriam: yes we went, as you well know. =) I enjoyed spending time with you yesterday! 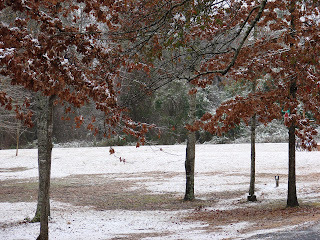 A Heart of Praise: I suppose snow in Florida is rare as well. One of the disadvantages of the south, though I do enjoy the milder winters! But it's really cold right now! So glad you all got to experince a little of what I get occasionally. It is wonderful!